We live in a time of many sophisticated means of communication. Information can travel to the other side of the planet very quickly. But it is exactly at this time that communication between people, father and son, husband and wife, mother and daughter, has become extremely difficult. If we cannot restore communication, happiness will never be possible. 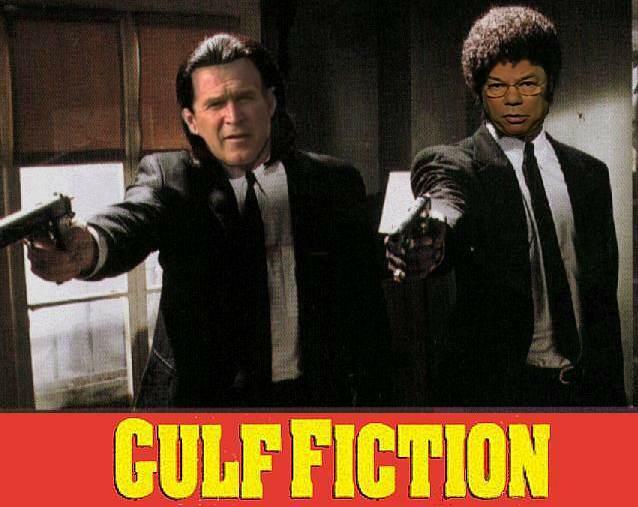 Per request…for spampy – an image for the movie Gulf Fiction, slated to come out this winter. As the cut in his finger deepened and he felt no discomfort, Rode became convinced. When the blood started to flow, he yanked his finger away. His experiment had given him a first-hand experience of a remarkable physical process that physicists first stumbled upon several years ago. Seeing this statement, does anyone else worry that the technology mentioned in this article could just as easily have pretty nasty military applications as it could medical? I mean, I’m no physicist, but it seems to me that with some sorta beam splitter — or maybe just the single beam, with a person or persons kept in a stationary location — you could slowly slice someone in half. Pain free, yes, but just as dead, eventually. Not trying to sound too much like a James Bond movie, with someone tied to a table while a slowly advancing laser threatens them within an inch of his/her life. However, it seems very feasible that you could do a lot of damage to somebody with this technology, without them ever knowing it. The plaintiffs include a Bronx teen who ate every meal at McDonald’s for three years while living in a homeless shelter. Another is a 13-year-old boy from Staten Island who says he ate at McDonald’s food three to four times a week and is now 5-foot-4 and 278 pounds. Jared needs to lay the smack down on these guys. None of this smiling, happy, chomping-into-a sweet-onion-chicken-teriaki Jared. Jared needs to go postal. Or maybe some flipped-out Ninjas. Preferably with wailing guitars. WASHINGTON (AP) — Young Americans may soon have to fight a war in Iraq, but most of them can’t even find that country on a map, the National Geographic Society said Wednesday. Update: Take the damned test, or at least a sample thereof, yourself. I got 20/20. One day, when my time on this earth has passed, and people are remembering me, at least they will be able to say that I always refilled the coffeepot in the office, and never left it empty. GD is up to date. No tests defined for GD::Graph extension. I have not been sleeping well, the past few nights. For two nights in a row, I have been waking up from dreams. Now, all these dreams are really one, never-ending, cyclical dream. You’ve had them before, I’m sure, and know how it goes. However, I have never had it extend over two days before. I can’t remember much detail at all, but in every situation, I’m working with various friends to put together a business venture — it might be selling pizzas, or creating a new line of cars — and there is the motiviation, the words coming out of my mouth, that this is gonna be “the absolutely best type of (product) ever to come out”, and I am literally obsessed with the idea. In fact, I seem to be so obsessed with the idea of this thing being absolutely perfect. So bogged down — not in the concept, but simply the idea that this thing is gonna be the best — that I have never had the dream go any further than that. Anyone who knows me knows that I can be pretty far from a detail-oriented person, in many situations. I guess this doesn’t sound like much of a big deal to many people. But I have been waking up from those dreams every time, for the past two nights, just feeling completely unrested and disoriented. even slightly achy. I have no idea what would bring these dreams on, either. This is the story of three guys who took a wrong turn on the calendar and ended up in Philly for what turned out to be the longest drive for a cheese steak, ever. We have an old college friend in town for the weekend, a crazy Norwegian with whom we went to school. It has been a fun weekend, and the two of them decided that it would be a great idea to try and go into the city to find tickets to see the Wizards play the Lakers. I’m not a basketball fan, but I decided it might be a good time, so we got in the car, and made our way out to the car. As I got into the car, I mentioned that I’d seen online that the Wizards beat the Lakers last night, at the buzzer. Silence. Apparently, unlike baseball, basketball teams don’t play each other, several games at a time. Actually, maybe they don’t in baseball, I can’t remember anymore. In any case, we took off down the road, and checking the NBA schedules on my mobile phone, I determined that there would be no Wizards game in town tonight, as they seemed to be in Cleveland. We talked a bit, to figure out what the course of action would be. We decided we would just go have drinks at Reston Town Center. Reston Town Center plans turned into Adams Morgan. Adams Morgan plans turned into Baltimore. Next thing I knew, we were headed to Philly for the night. We would get there around 9.30, with plenty of time to visit South Street. I was hesitant at first but hey, what could I do, it’s not like they could/would turn around and drop me off at home. Right on schedule, we roll into Philly with no map, and no idea of where we’re going. We finally park in a garage and walk around a bit, getting a feel for the town. Went a few blocks, and then something caught our attention — the green “Carlsberg” neon sign in a window. Looking at the menu next to the entrance, we saw that they had cheesesteaks, and decided to stop in. The sandwiches were good and plentiful; The beer was cheap. One sandwich and two beers came out to twelve bucks a head. Getting tips from the waitress and other patrons, we found out that where we parked was about five blocks from a Holiday Inn and easily accessible on Philly’s now notorious (at least to us!) one-way roads. We also found that we were about five blocks, in a straight shot, to the famed South Street, a street which once found me driving shirtless in a pickup… but that’s another story. Psyched, and ready for a good night, we tip the waitress well and go over to the parking garage to make our way over to the hotel. This is where things began to fall apart. We somehow ended up coming out of the parking garage in a location I didn’t expect, so that threw off our directions, and we ended up somewhat out of our way — but this wasn’t a big deal, We found Walnut Street, and headed down to approximately where the waitress told us we could find the hotel. Only we never saw it. We asked several people along the way, all of whom gave us similar locations, but I think we passed it three times w/o seeing anything resembling the hotel. We were stymied and frustrated. Finally, driving down the road, I spot a Hampton Inn. Knowing this is cheap, we stop out front and go in, only to find that the place is sold out, due to a convention in town. They suggested we check out the Lantham. This name sounded very familiar to me. Along the way, we ask someone for directions once again, and he gives us a tourist-sorta map that he apparently didn’t need anymore. This looked to be, apparently, the rosetta stone, since it had all the major hotels in the city listed. We made our way back to the Lantham. Yes, this was familar… we passed it originally, walking from the garage to the pub. We stepped inside. Again, no dice. They, too, were booked. The guy at the desk was very nice and did his best, I think he called around to about 10 hotels, asking if they had any double, or even single-occupancy rooms. There was nothing to be had in that town. And thus, with heavy hearts, heads, and eyes, we decided it was time to drive back home. We were kinda grouchy, even before we got to the Lantham, and now it was a combination of grouchiness and resignation. We muttered and kinda bickered a bit on the way back to 95. But caffeine and Bob Dylan on the stereo prevailed, and the drive back — although I wasn’t the one driving — was a little more lighthearted. By the time we were back home, we were laughing heartily about this excursion, which a few hours prior was wholly inconceivable. It was an experience. I’ve had enough excitement and trips on the emotional roller coaster that I ought be a human Prozac for the next week. Right now, however, I am a human Dramamine. Goodnight. Coming back from lunch yesterday, one of my coworkers was pickin’ our brains about songs that have references to tattoos. I am not quite sure what this was for. In any case, I suggested that I’m sure there’s plenty of country music with the reference. To illustrate my point, I stated that it wouldn’t surprise me in the least to see a song come out, entitled “You’re Outta My Mind Now (But Still On My Arm)”. It is a very dark day in American Politics. We have have slowly arisen from our slumbers to find Republicans in charge of virtually every important segment of the political scene. War in the Middle East is inevitable, just another tool in the great GOP utility belt of power. The economy slowly crumbles as we find out, even more slowly, that outdated fiscal policies don’t work. We sit and watch as the Social Security funds slowly disappear, in part because the only people voting for politicians are those who reap its benefits. We need a fresh outlook! We need a new Populism! Yes, fellow young Americans, I present to you the grassroots for a new political platform who will stand up for what you really believe! Admit it, we live in a society where the largest electoral participation is by those who are two to three times older than you! We live in a society where, despite the fact that 90 million people smoke, or have smoked pot, there exist still some of the harshest criminal laws in effect, in any industrialised nation! My fellow Americans, you are being taken for a ride — and there ain’t no joy in it! Today’s lost generation no longer votes because it feels disenfranchised! The Toga Party will remedy this. We will stand up for your rights. We will fight for your right… to party! The Toga Party does not endorse smoking, but neither does it support most of the kneejerk cigarette legislation being sponsored that would keep you from smoking in a bar! The Toga Party also finds the current national tobacco policies, which both subsidizes the production of tobacco and taxes its use to be hypocritical and ineffective. The Toga Party feels that it is poor policy to put forth legal basis to draft young men for miltary action, while at the same time, disallowing them to consume alcohol. The legal drinking age in America is far above that of any other modernised nation. 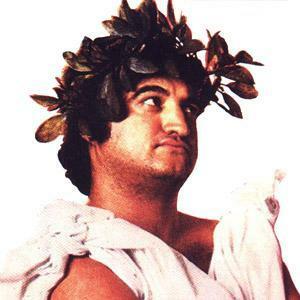 The Toga party notes our Founding Fathers’ fondness for alcohol and thus believes that the current, excess taxation on Alcoholic beverages is un-American! The Toga Party recognises that the American drug war has been, and will always be a failure! The current zero-tolerance policy is draconian, and current laws are completely unjustified and ancient! The Toga Party believes that people should be able to do what they want, when and however they want to do it, in their own homes and bedrooms; The Toga party does not deny anyone his or her right to enjoy these things. The Toga Party puts forth the notion that people should be allowed to spend their money however they like it, and are responsible for their own fiscal responsiblity. The Party feels that this is a healthy impetus for economic growth. However, the Party does not deny that people come across hard times — unemployment, temporary or permanent disability, empty kegs — and thus believes that, at times, concessions must be made. While the Party generally endorses the free market, it does not support the use of underhanded tactics — such as charging two-times the normal price for a pint, to an unsuspecting, perhaps slightly-intoxicated customer — as ethical or justified. The Toga Party does not endorse any one rigid, moral structure; Rather, it supports a basic ethic of tolerance and amicable nature. The Party does not deny anyone the right to have religions beliefs, but does not think that such beliefs should be the basis for legislation, certainly not to the degree that they are used to impose behavioural or judiciary changes. The Toga Party is not power-hungry. It does, however, aim to have the thrust of its power in — where else — the Senate. The Toga Party is for the People! The Toga Party is about change! The Toga Party invites you! Show your support for The Toga Party, by adding it to your LJ interests list today! Perhaps my favourite cut of meat is a good steak filet, wrapped with wood-cured bacon around the outside, wonderfully seasoned, grilled to perfection. I also happen to like a good meatloaf, if it is full of flavour… and again, if there are strips of bacon across the top, even better. Now, meatloaf can be tasty, but it’s still in a whole different class. I have been writing again, as of late. It has been a long time. These days, though, my writing seems more like that meatloaf. It used to be more like the steak. Only occasionally does it still resemble the finer cut, or carry any of the intense flavour. Prior to waking up this morning, I’d been having a dream that was kinda graphic. For some reason, I was on the sideline of an NFL football game, where the offense was preparing to kick a field goal. Kicker’s name was Tupelo. The snap was good, the hold was good, the kick was good — and then next thing I can remember, Tupelo is sitting down on the ground, hunched over, legs outstretched. From my vantage point, I see him from behind, and don’t know what’s up. I head out onto the field — I guess I’m a trainer in this dream — and come to find out that he has broken his leg. Apparently it had just snapped, freak accident — he never got hit. It was a compound fracture, with the bone sticking out high on his shin, just below his knee. Tupelo was sitting there, for some reason, holding the bit of flesh that was “peeling” over from the puncture. It was almost as if he was trying to cover the wound back up or something. The bone was an ugly yellowish-greenish-grey, as if it were rotten. Through all this, you knew he was in pain, and probably going into shock. However, he wasn’t writhing in pain, moaning, etc. This, by the way, is how I knew immediately that it was a dream. Any football player — especially a kicker — would have been crying like a baby if this had happened to him. I’m not much of a GQ reader normally, nor do I particularly fit the demographic. Occasionally I will buy a copy when there are a few interesting articles, amidst the androstene ads and fashion articles. In fact, I’ve come to find that, despite the uppity decorum, it’s generally got some good content. Even the letters to the editor are some of the best I’ve seen. This said — the September 2002 issue (aka the aforementioned “Heidi Klum” cover) has an article by senior correspondent Alan Richman, entitled “My Last 49,000 Meals”. It is perhaps one of the most enjoyable articles I have ever read in a magazine. I’ll stop short of calling it “inspiring”, but it certainly refueled my desires to “know” food. It also made me very hungry. Unfortunately, I can’t find a copy of the article online. You’ll have to find back issues, or go to your local library or something to read it. I may have to switch back using mutt for my mailreader. Not because I don’t like the client that comes with Mozilla, but really just because Phoenix is way more responsive than Moz — it just doesn’t have a mailreader, however [yet]. What kinda loser am I, writing restaurant reviews on a Saturday evening? Are these not the most disgusting looking candies you’ve ever seen? Gummy “Mini Burgers”. Anyway, those are in the kitchen now, too, but the motherlode of all candy is on the table elsewhere, near my coworkers, at least one of whom has a youngin’. Just by variety, I’m guessing it’s said rugrat’s stash. Update: I just tried the burger. As bad as expected. The inside parts are like gummy bears, etc., but the outside buns are like those circus peanuts or whatever. Bleah!! It is only 9.15 AM, and there is already a bag of tootsie roll pops, and a bag of mini crunch bars in the kitchen area. I forsee a sugar buzz.